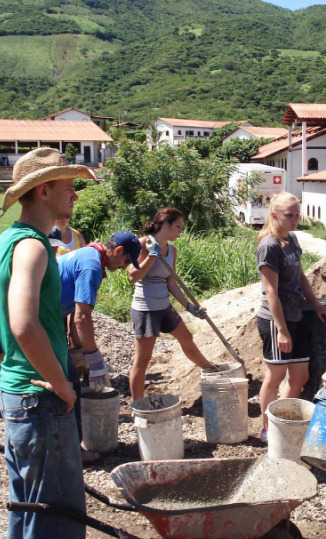 Every year many faith based organizations send groups of their most passionate to serve the people of Zacapa Guatemala in a wide range of areas. Volunteers devote a week to work hand in hand with the staff. While at HOH Zacapa you’ll experience what it's like to “Go into the world and preach the Gospel". You will work with abandoned children in their distress by handing out food, clothing and by sharing the love of Jesus. You will also get to live side by side with the families God has stitched together and now permanently reside at HOH Zacapa. Taking some of these abandoned children and “Putting them in Families” really shows you how amazing God is, how He's moving in their little lives and just how important each of them are. As a Missions Volunteer, you'll spend a day at one of the local mountain villages sharing your heart to a previously unreached people group and participate in their gospel meeting. Perhaps your passion is the medical field. Doctors, nurses and medical professional of all kinds can join our “Medical Mission teams” specifically tailored to put each professional’s talent to good use. Each team experiences a wide variety of opportunities to serve, in the mountain villages, inner city or at the HOH campus located closely to all.